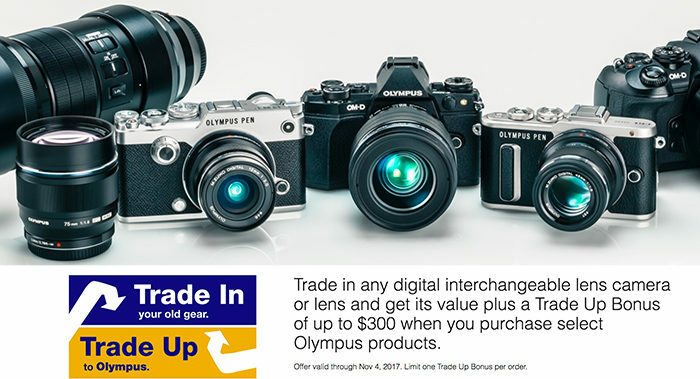 Olympus US launched the new trade.in program where you get up to $300 bonus to spend on Olympus cameras and lenses. All info can be found at GetOlympus. next post: New low price on the Olympus 17mm f/1.8 lens. Now $349!